Kuito is the distressed but slowly restoring capital of Bie Province. Bié is a province of Angola located on the Bié Plateau in the central part of Angola. Parts of Angola are contaminated with mines as a result of four decades of almost continuous warfare, making it the most mine-affected country in sub-Saharan Africa and one of the most mined countries in the world. An anti-personnel weapon is one primarily used to inflict death or cause major bodily injury to people. Anti-personnel landmines are explosive devices designed to explode when a person gets near the device or steps on the device. Kuito is still surrounded by rings of landmines. Situated in central Angola, Kuito used to be called Silva Porto, taking its name from Francisco Ferreira da Silva, who was Bie's colonial commander in chief and came from the northern Portuguese city of Porto. Francisco Ferreira da Silva founded Kuito in 1845. Kuito, the capital of Bie, is a city destroyed by war. Known as the "Sarajevo of Africa", Kuito has been reduced to rubble after being besieged by the National Union for the Total Independence of Angola (UNITA) rebels for almost 20 years. UNITA was led by Jonas Savimbi and was supported by the country’s largest ethnic group, the Ovimbundu. The Ovimbundu, also known as the Umbundu people inhabit the Bié Plateau in Angola. The late Diana Princess of Wales visited the Angolan province of Bie in 1997 in support of the Halo Trust, not long before her death in a car crash in Paris. Pictures of Diana wearing protective gear as she observed mine-clearing efforts by Halo in the towns of Huambo and Kuito helped draw the world's attention to the horrific ordeals of amputees and the suffering caused by landmines. Parts of Angola are contaminated with mines as a result of four decades of almost continuous warfare, making it the most mine-affected country in sub-Saharan Africa and one of the most mined countries in the world. Some mines were put into place to discourage people from searching for food holding them captive and at the mercy of insurgents. Human rights groups have long alleged abuses against Angolan civilians. ﻿﻿Angola is one of Africa's leading oil producers, but most rural citizens still live on less than $1 a day making agriculture a vital need in order to survive. However, the presence of landmines creates a situation where rural citizens are dependent on food transported into the area. The Republic of Angola signed the Mine Ban Treaty on December 4, 1997 however, since 1994 Halo has removed and destroyed 21,300 antipersonnel and antitank mines so far with its efforts steadily moving out from the town center to areas farther afield. 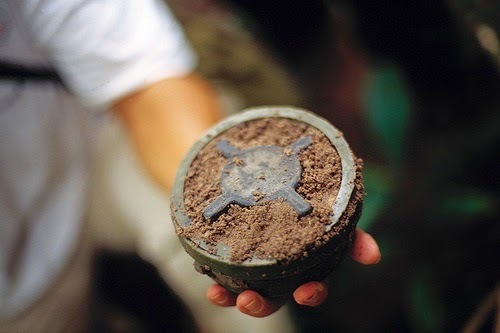 Anti-personnel landmines are explosive devices designed to explode when a person gets near the device or steps on the device. Angola's lingering civil war, which broke out after it gained independence from Portugal officially ended in 2002. The Alvor Agreement signed on January 15, 1975, granted Angola independence from Portugal on November 11, 1975. 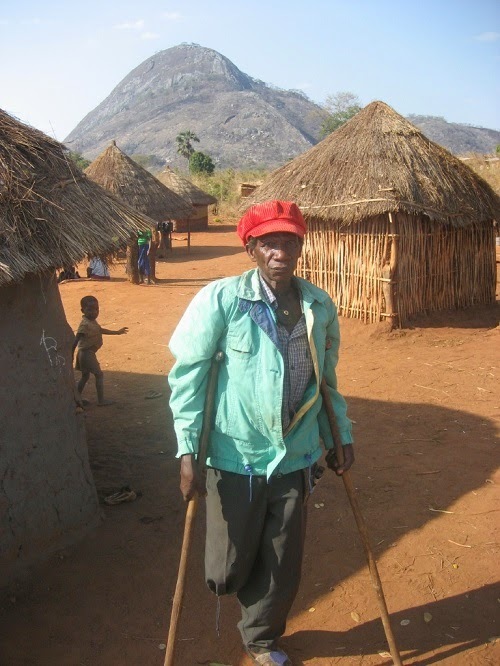 Angola 27-year civil war killed and injured well over one million people. Parts of Angola are contaminated with mines as a result of four decades of almost continuous warfare, making it the most mine-affected country in sub-Saharan Africa and one of the most mined countries in the world. According to the HALO Trust, there are more than 620 minefields mapped and recorded in the eight provinces they currently operate in; Benguela, Bié, Cunene, Huambo, Huila, Kuando Kubango, Kuanza Sul and Namibe.